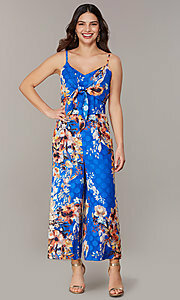 Pack this floral-print v-neck jumpsuit for your next cruise or beach vacation. 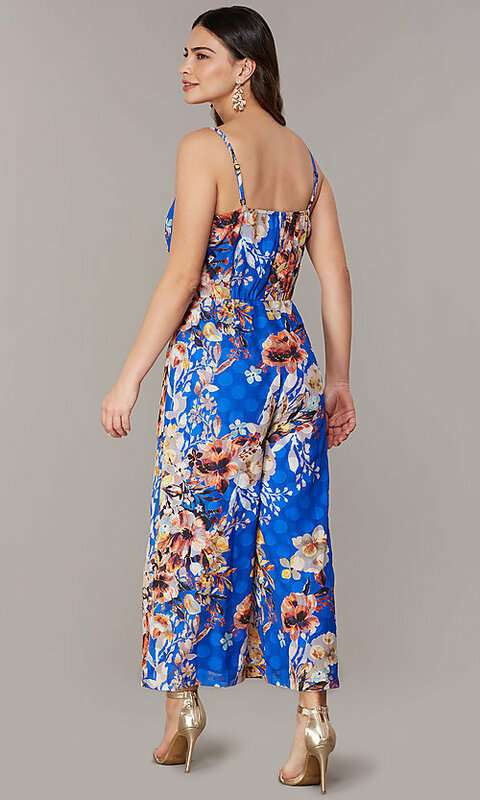 This party jumpsuit blooms with a floral print against the vibrant blue chiffon background for a look that says fresh and fun. 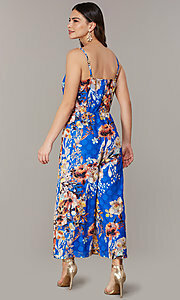 The sleeveless bodice has adjustable straps and a v-neckline. Front panels tie at the bustline to create the look of a flattering empire waist, while the wide pant legs end at a stylish cropped length. Perfect for a date night or a day at the Derby, this blue floral-print cropped-leg jumpsuit is a versatile fashion for any occasion.